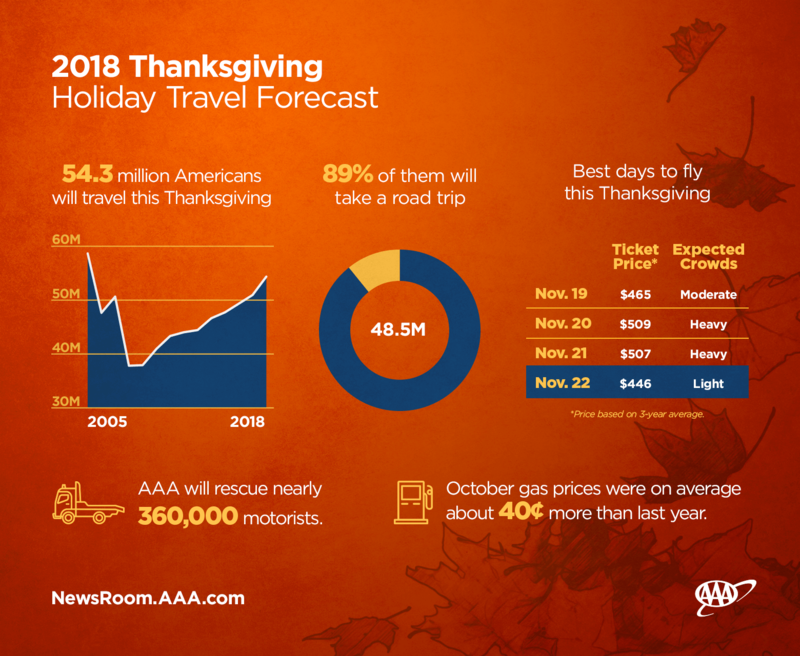 AAA Carolinas predicts that close to 1.5 million North Carolinians and 732,000 South Carolinians will travel 50 miles or more for Thanksgiving this holiday season – the most since 2005. 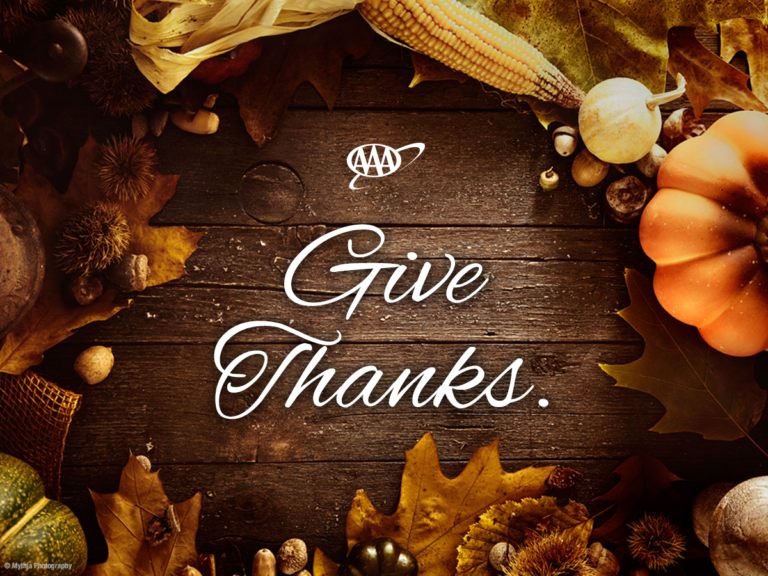 The Thanksgiving holiday travel period is defined as Wednesday, Nov. 21 to Sunday, Nov. 25. Of those traveling, 90% will do so by motor vehicle. With the surplus of drivers on the roads, we urge motorists to drive with caution and be prepared for the dangers on the road. The most popular days to travel are the Wednesday before Thanksgiving and the Sunday at the end of the weekend. 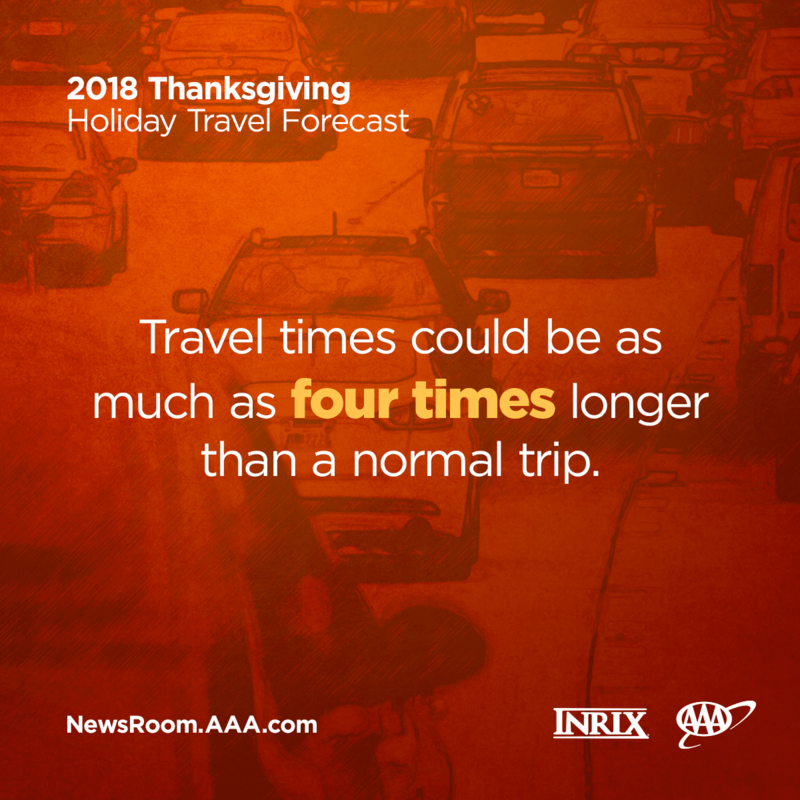 If possible, plan your travel a day later (Thanksgiving day is the best day to be on the roads) and come home a day earlier. Law enforcement will be out in full force during the holiday. The North Carolina State Highway Patrol will take part in the Thanksgiving 1-40 Challenge – a joint operation among seven other states along the 1-40 corridor. Starting November 21, troopers will be placed every 20 miles along the major interstate. Avoid distractions behind the wheel. Keep your phone in a secured place until you arrive at your destination. Avoid behaviors such as eating, applying make-up and fiddling with the navigation system. Obey traffic safety laws: wear your seatbelt and adhere to the speed limit. Understand that everyone is in a hurry to get to their destination. Utilize turn signals, give drivers space and avoid road rage. Never drink and drive. Have a designated sober driver in place if you plan to drink. Utilize a ride sharing service such as Uber, Lyft, or a taxi. Stay off the roads the night before Thanksgiving if possible.